It's not uncommon to find that some tech-savvy members on the Web love the old Windows PC performance when it comes to modern-day tech. While some consumers are just fine with smartphones, tablets, smartwatches, and fitness bands (anything mobile), some tech enthusiasts still love their gaming PCs, Windows desktops, and PC performance. We've seen Windows OS running on a number of gadgets, one being smartwatches (like the Apple Watch that was hacked recently to run Windows 95). 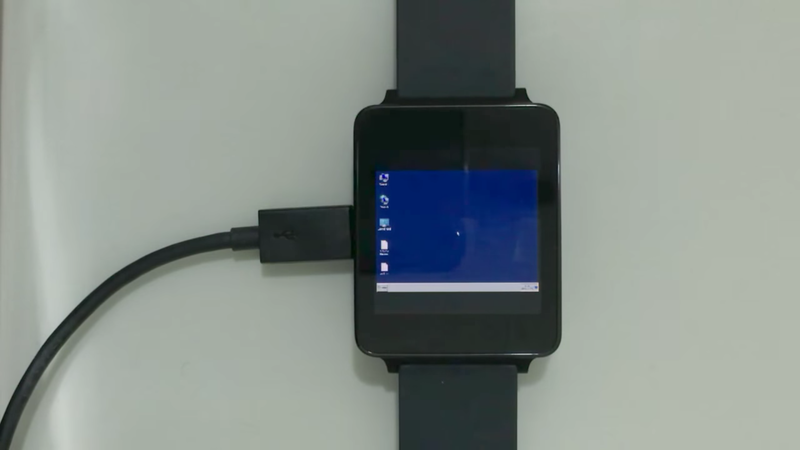 This time, Windows 7 is presented running on an Android Wear-powered smartwatch. The smartwatch in question is the LG G Watch, LG's first smartwatch, and, as you know, it's a device that runs Google's own wearables platform (Android Wear). 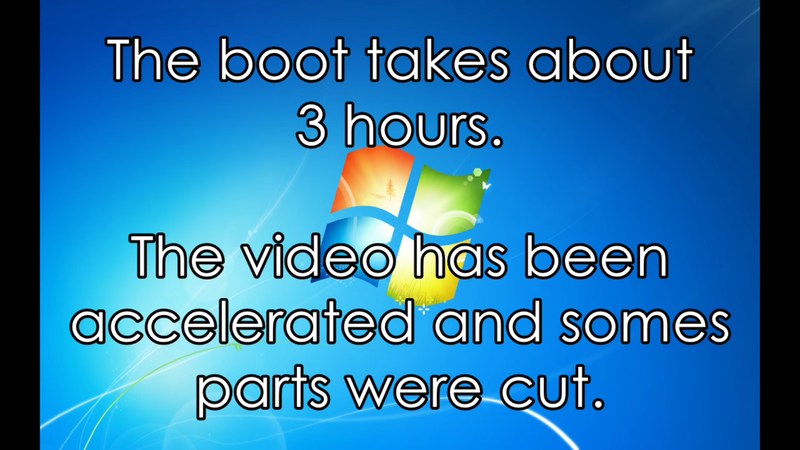 YouTube member Hacking Jules says that it took 3 hours to get Windows 7 on the LG G Watch, so this isn't something you should do randomly. 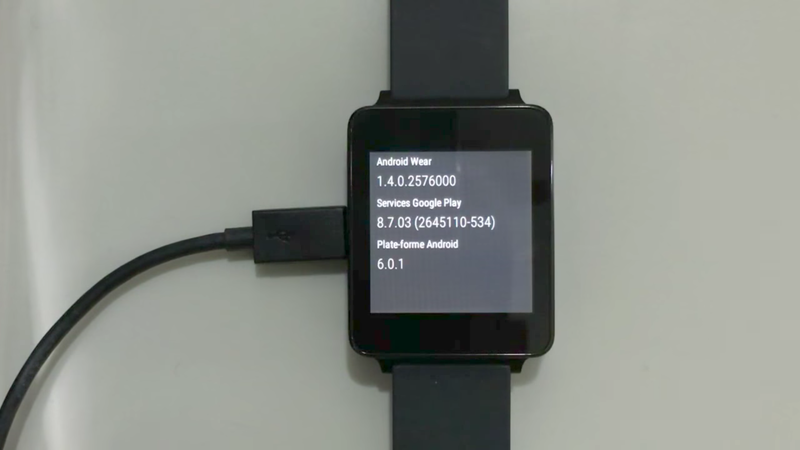 The video of the LG G Watch hacking is only 6.5 minutes long, with a lot of blandness in the video with little going on until around 5 minutes in the video. 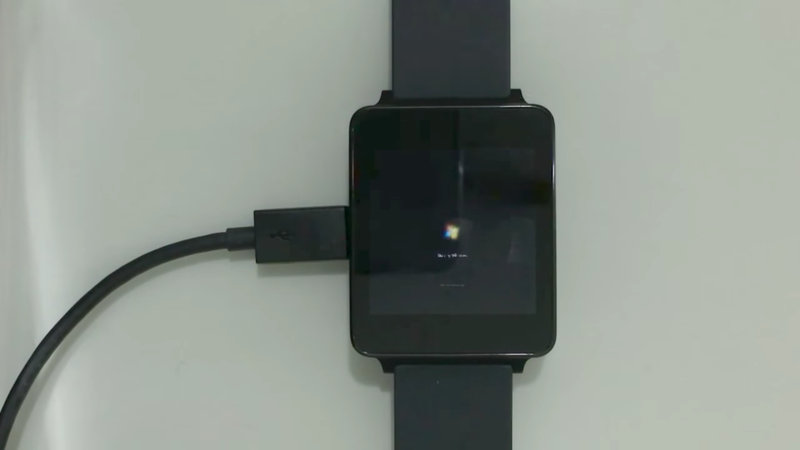 Yet and still, there are some evidences that we can see throughout the video to conclude that Windows 7 loads on the G Watch: the Windows square symbol, the gray bar on the desktop with the "start" rectangular button in its usual place, and the blue background with the icons that load to the far left -- all reminiscent of the old Windows 95/98 setup I am familiar with from my childhood 20 years ago. While waiting 3 hours for Windows 7 isn't something that most would want to do in their free time, it is impressive nonetheless and shows just how performance-capable smartwatches are becoming: even with 512MB of RAM, 4GB of storage, and a dual-core processor. That is impressive, especially considering that PCs have always had more power historically than mobile devices. Now, despite the fact that PCs have always had more raw power historically, the landscape is changing. My Galaxy S7 edge, for example, has a quad-core Snapdragon 820 processor and 4GB of RAM; my Apple MacBook Pro from 2011 has 4GB of RAM and a quad-core processor -- so smartphones have come to equal and surpass what many laptop PCs have become. For those who want to try this out (and for those who just want to see what the craziness is all about), check out the screenshots below. You can find the video in the blue link above.